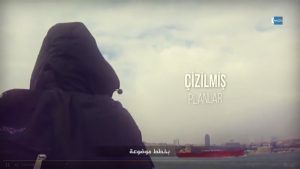 In screenshots from a new video reportedly released by the Islamic State in Iraq and the Levant (ISIL), a militant in black is seen freely walking around İstanbul’s famed tourist sites, including the Bosporus and the 400-year-old Sultan Ahmed Mosque, popularly known as the Blue Mosque. ISIL has recently stepped up its attacks on Turkish soil. In one of the most recent, 39 people were killed in the early hours of New Year’s Day when a gunman went on a rampage at an exclusive nightclub in İstanbul where revelers were celebrating the coming of the new year. Only a couple of weeks ago, the radical group allegedly burned alive two Turkish soldiers who it took hostage three weeks earlier in the al-Bab region of northern Syria. The soldiers were identified as Fethi Şahin and Sefer Taş. The video came a day after 16 Turkish soldiers were killed and 31 were injured in ISIL attacks in al-Bab.